Saturday, April 20, 9:30 - 11 a.m. The hunt is on! 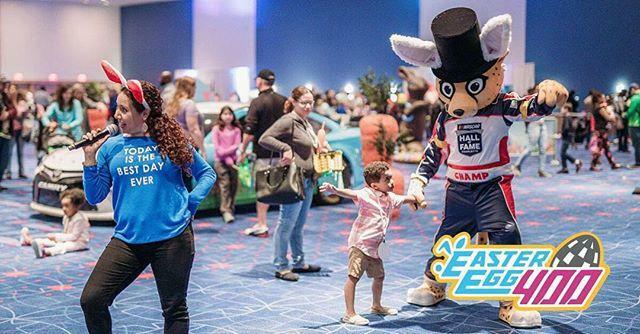 Hop over to the NASCAR Hall of Fame on Saturday, April 20, for the fifth annual Easter Egg 400. Your general admission ticket includes event admission, entertainment, games, crafts and a photo with the Easter Bunny. Of course, the marquee event of the morning is the Easter Egg Hunt where each child will get to take home a carton of eggs filled with candy and prizes. Children two and under are free. Early admission at 8:30 a.m. Ticket price listed below includes sales tax and a $1 facility fee.